"Wise goal setting includes the understanding that short-term goals are only effective if they lead to clearly understood longer-term goals. I believe that one important key to happiness is to learn how to set our own goals and establish our own plans within the framework of our Heavenly Father’s eternal plan. If we focus on this eternal path, we will inevitably qualify to return to His presence. 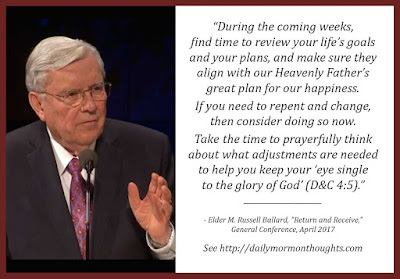 "During the coming weeks, find time to review your life’s goals and your plans, and make sure they align with our Heavenly Father’s great plan for our happiness. If you need to repent and change, then consider doing so now. 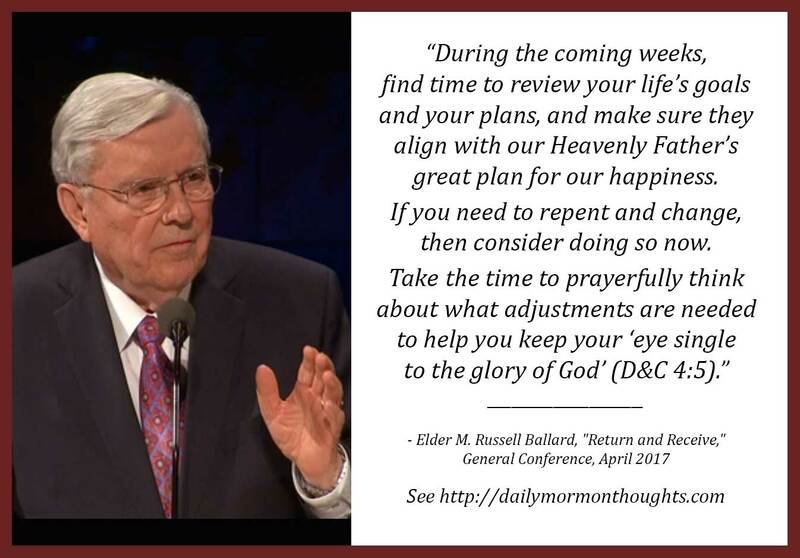 Take the time to prayerfully think about what adjustments are needed to help you keep your 'eye single to the glory of God' (D&C 4:5)." So Elder Ballard's challenge is that "our greatest and most overriding goals should fit into Heavenly Father’s eternal plan." Once we set our plans in the context which He has established, we will be blessed. 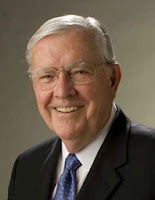 The serious personal evaluation suggested by Elder Ballard would truly be a blessing to any individual willing to seriously review his or her goals and plans, and make appropriate adjustments.